Hello! 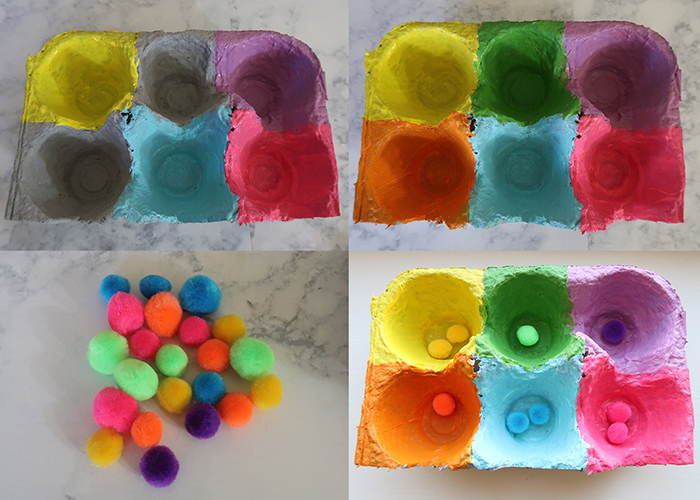 Today I’m sharing this Egg Carton Color Sorting Sensory Activity. 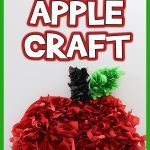 This is great for learning colors and for fine motor skills, and the fuzzy pom poms are just fun to play with! Here’s what you’ll need to make your own color sorter. 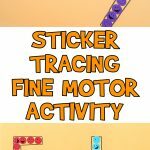 We also have a very popular set of worksheets for learning colors over here! Start by figuring out how many colors you want your sorter to have. 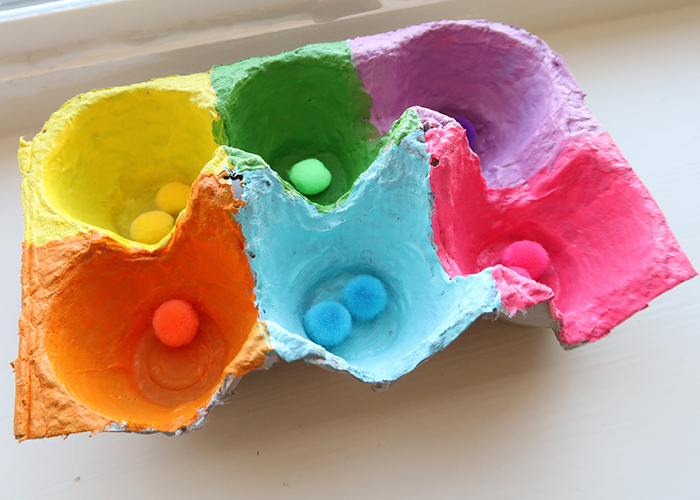 I chose to use 6 colors, so I knew I would need a section of egg carton that had 6 spaces. 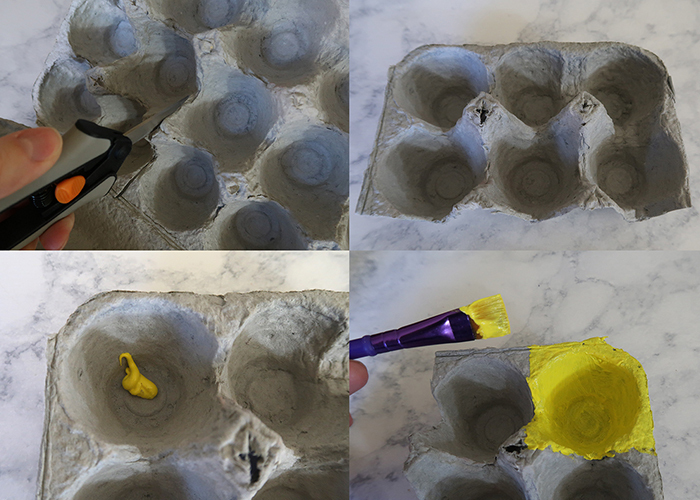 Use your scissors to carefully cut out that section of egg carton. 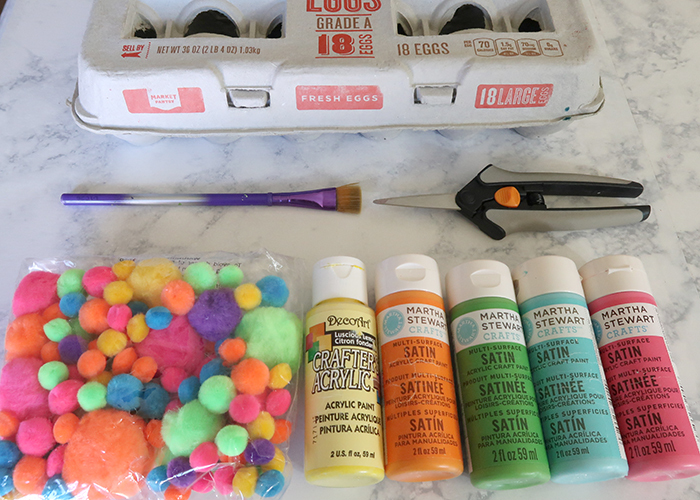 Next, place a few drops of one of your paint colors in the egg space, and use your brush to paint it all around that egg space, including the top edges. Making sure to rinse your paintbrush throughly between colors, paint all of the spaces with your chosen colors. Let the carton dry completely. 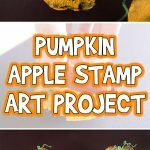 This may take a few hours depending on the paint you used, so make sure to plan ahead for this activity. Next sort out all the pom poms with colors that match your cups. 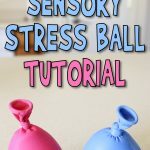 You could even throw in a few pom poms with different colors to try and trick your learner! Now, just let them play! You can let them sort the pom poms with their fingers, or you can make it more challenging with tongs or tweezers. 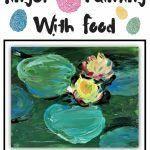 I also like doing this activity as a way of teaching kids to use chopsticks correctly too! 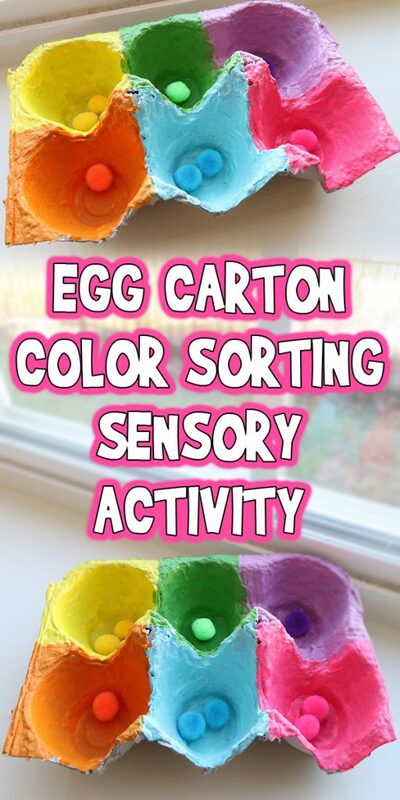 I hope you enjoy doing this Egg Carton Color Sorting Sensory Activity with your little ones! 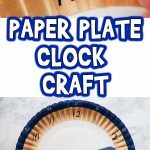 This is also a great low-cost preschool activity, because you can have parents bring in clean egg cartons from home!